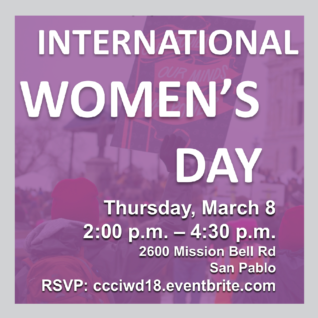 You’re invited to join CCC’s Political Science Department and COPA Club for a special International Women’s Day event. Meet and learn from local women leaders in law, politics, public service, community organizing, and more! Food, music, prizes, student clubs, and more!